High quality measurement underpins all science, technology and commerce. Our strengths in precision mechanics bring together those wishing to devise novel measurement schemes, instruments and other precision machines, with those that wish to use them. This leads to fruitful academic and industrial collaborations wherever high precision mechanics is needed. Parallel kinematics and gear design. We offer long-term research into the structure of and mechanical behaviour near to surfaces, which increasingly influence modern technology. Friction and wear are crucial factors in energy usage and sustainability. 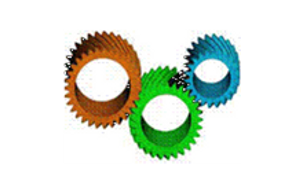 Tribology research ranges from high-performance gears to applications in micro-systems – the common factor lies in new materials such as coatings and (nano-composite) polymers. We also explore micro-tribology as a tool for controlling special materials production. We devise measurement systems for studying how micro-topography affects surface function, from its undesirable effects on substrate quality to the positive use of (nano-)texturing for optics or to control cell growth. Research in formal metrology concentrates on calibrators of sub-nanometre or micro-newton sensitivity and standards for the ‘legal metrology’ crucial to technology transfer. Precision instrument design, often challenging the limits of theory, is complemented naturally by research on parallel kinematic machines and optimal gear design. There is increasing focus on bio-medical applications, including the mechanics of fixations and prosthetics. Multi-property mapping, developed to identify phases in complex materials, is now used to study human touch perception. New ventures are taking us into nanobioengineering, for example, researching the mechanical behaviour of cells and micro-scale tissue engineering for eventual clinical application. We have strong international academic links, a long-term relationship with the UK National Physical Laboratory and recent collaborations with companies such as Ricardo, QinetiQ and Micromaterials. Our laboratories house many commercial and own-design instruments covering these fields, often aimed at smaller-scale systems or softer materials. It also hosts metrological services for Birmingham Science City.